I’ll be honest, I love the idea of being a traditional ‘man’s man’. Rolling up my sleeves, drinking a PBR, greasing up my face and working on car engines. However, as you may expect from someone who frequently writes about fruity notes in coffee, the reality is that I’m not the archetype ‘man’s man’. This was demonstrated a few years back, with the look of terror on my face when I realized I had absolutely no idea how to get the new alternator I’d bought off Amazon into my truck. I probably shouldn’t have removed the old one first. I bought the truck, by the way, to prove how masculine I was. Anyway, it’s with great pleasure that I can announce, Jammer Cafe has solved my problem. I now have a place to sit and drink delightful coffee, whilst pretending I’m a gruff, husky outdoorsman. And I don’t have to touch a single damn tool. 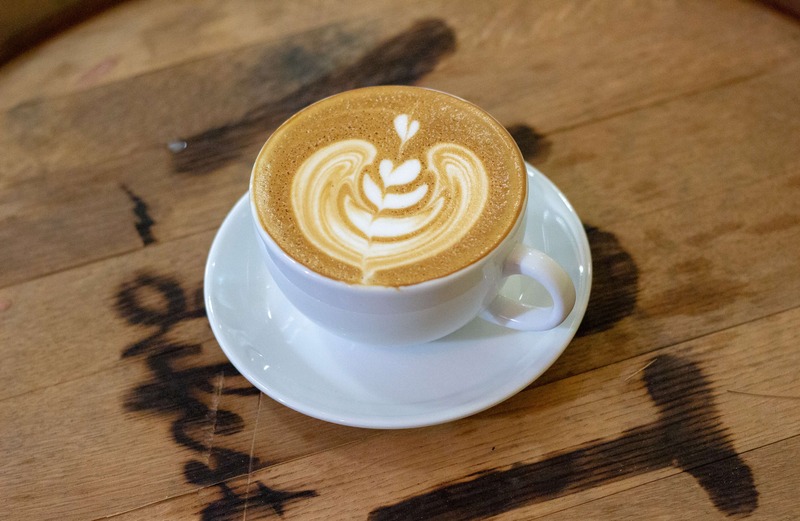 Pallet won our Roaster of the Year award in 2017, so no surprises here, this latte was excellent. 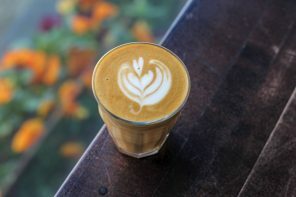 The milk texture was silky, there were some delicious chocolate notes from the espresso and the latte art was great to look at. I’d guess this was a medium roast, as it has some toasty qualities to it but still had a bright juicy finish. It was a well balanced and enjoyable batch brew. 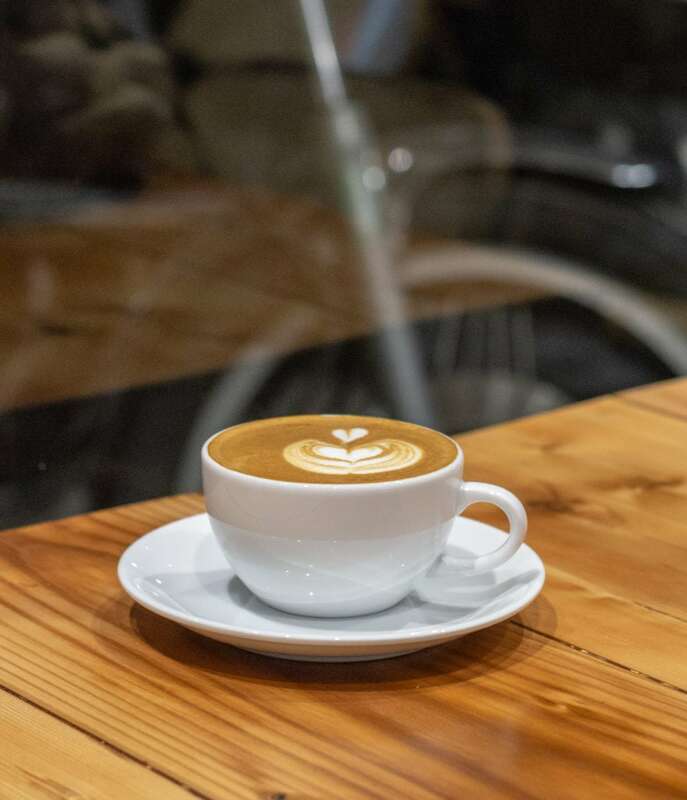 If coffee isn’t your thing, there’s a selection of tea drinks, as well as a plenty of beers from A-Frame and Backcountry Brewing. There’s a growing movement for animal-free meals these days, especially in a health-conscious town like Vancouver. Record amounts of people are now vegetarian or vegan. 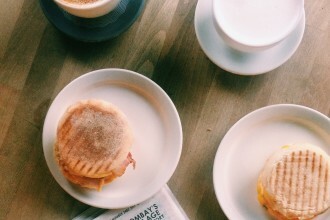 These people haven’t tried the bacon sandwich at Jammer Cafe. This is better than 99% of the bacon sarnies I’ve had in England, the home of this particular dish. Some might say I’m an expert on these things and let me tell you, this is pants down the best f*cking bacon sando you’ll have in Vancouver. 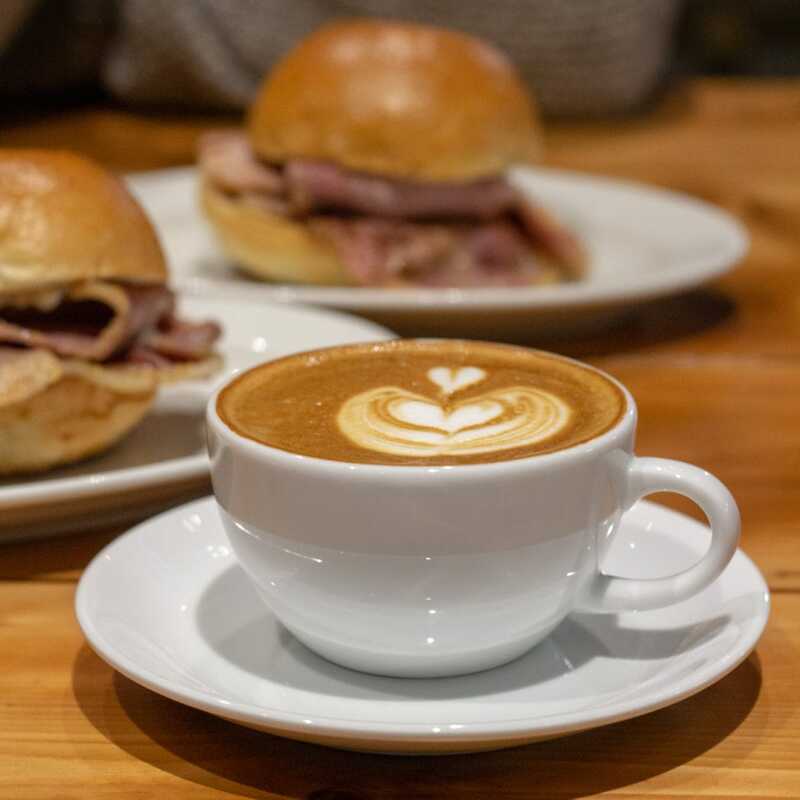 The reason it’s so great is primarily due to the cut of bacon – it’s not the fatty strip bacon you would usually see on a breakfast dish, it’s peameal bacon cut from pork loin. 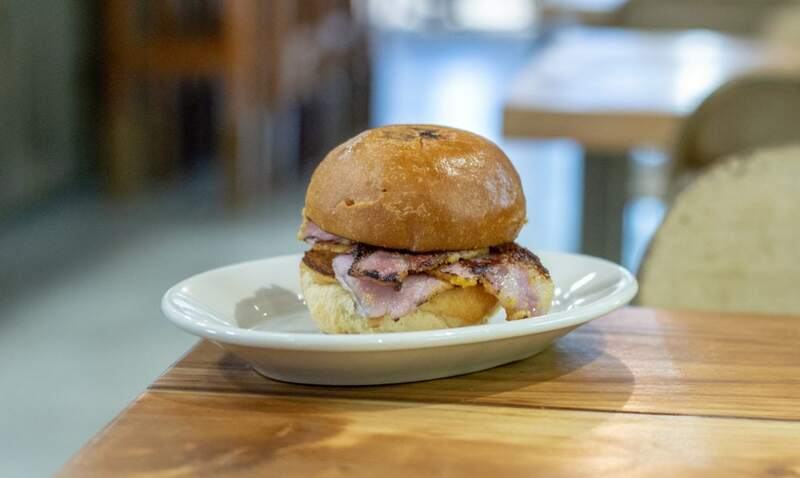 Throw on some mustard and mayo, then wrap the whole thing in a brioche bun and you have yourself an absolute freaking taste sensation… the likes of which your amateur taste buds have never experienced. I actually didn’t find out how the beer can played a part in this (one can only assume it was roasted using the beer can as a suppository), but that’s ok because I don’t actually care. What I do care about is that it was fan-flippin-tastic. The shredded chicken was moist, tender and, more importantly, was mostly dark meat (I’m assuming I got lucky, your mileage may vary). The coleslaw was crunchy, the bread was freshly baked and the mayo was, well, mayoey. The sandwich came accompanied with tiny fried potato thingies, that were tasty, but I felt could have used a little seasoning. Next time I’ll probably attack them with a bit more salt. 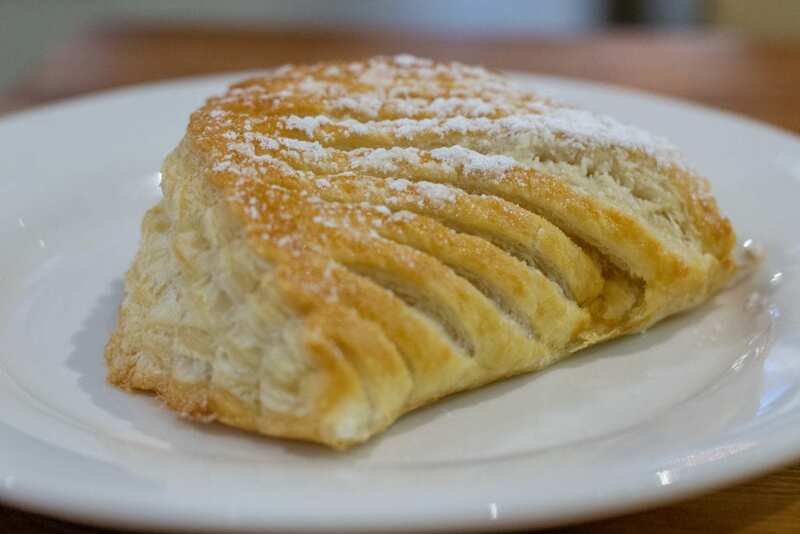 First off, bonus points for baking it in-house, rather than bringing it in from a supplier. How do I know it’s baked in-house? Because the inside was about 4000 degrees when I foolishly bit into it, fresh out of the oven. Do yourself a favour and wait for this to cool a little! If you do, you’ll find a buttery, rich, fruity and spicy experience waiting for you. 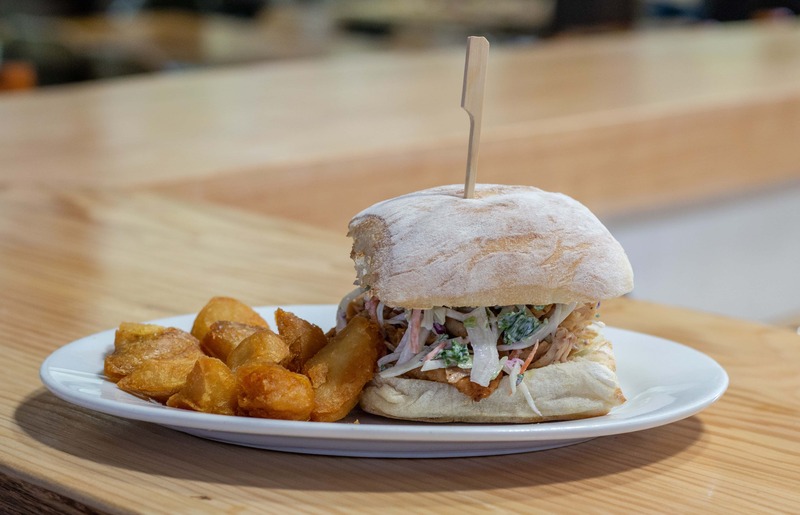 In addition to the above, you can also visit at the weekend for a full brunch menu, as well as a late night menu that includes assorted types of chicken wings. I alluded to this earlier, but Jammer Cafe ain’t your usual coffee shop. From the second you walk in, you’re greeted by a rotating (not physically) selection of motorcycles. 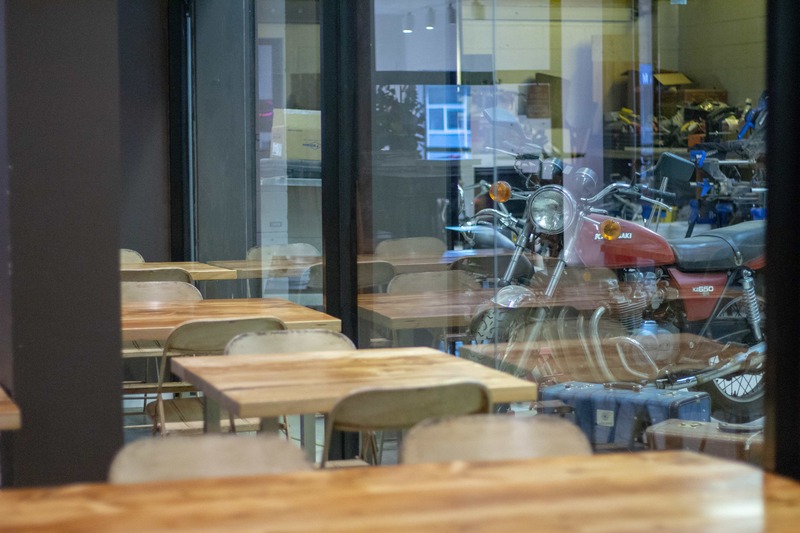 You walk through the foyer, into the giant cafe space only to notice a huge glass wall that looks directly into a motorcycle workshop. 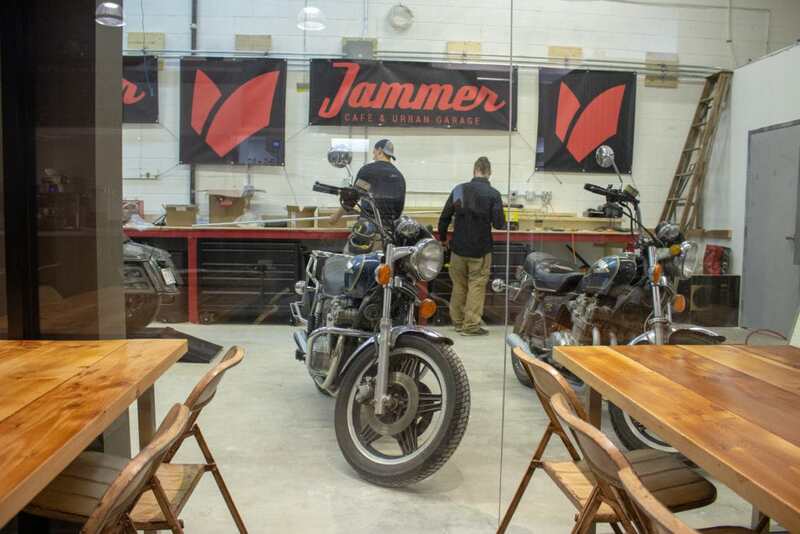 This is because Jammer is not just a cafe, but a DIY motorcycle garage, where you can bring your crotch rocket, rent out space and go to town on it, with their tools and assistance of course. It’s a fantastic concept, which is unquestionably going to be popular and spawn a bunch of copycats over the next few years. Aside from that, there are plenty of seats (I’d guess 75), all spaced out nicely. There’s a sofa area if you want to relax, as well as some bar seats and a large hightop table. It’s peculiar; it’s in both a great and a bad location. Firstly the good: there are plenty of places to park around the area (mostly paid, including the parkade at Home Depot) with a few 2-hour spots hidden away if you know where to look for them. There’s a ton of Mobi stations nearby and Broadway Skytrain station is about a two-minute walk. The bad side, however, it more for the cafe owners. 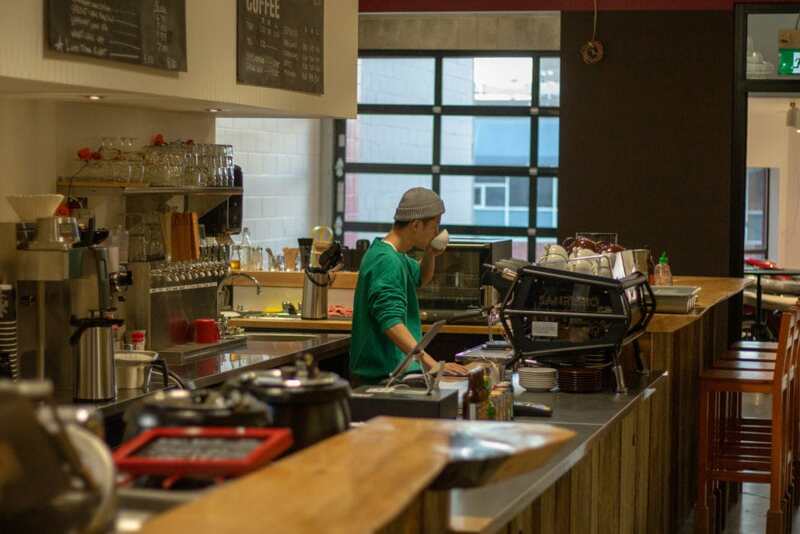 There are LOADS of coffee shops in the area, which means it’s going to be pretty competitive. The major thing I sww, though, is that it’s just off the beaten track. 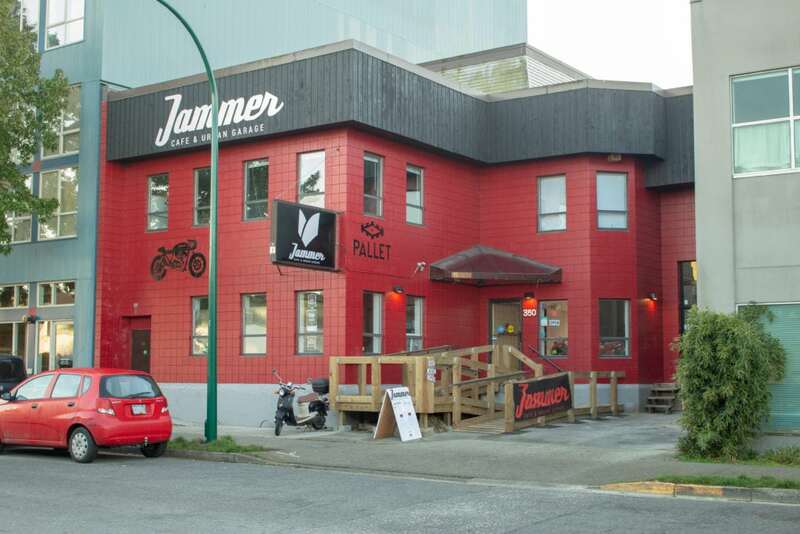 There’s not really any other reason I can see to be around that specific area, other than to visit Jammer. If they can find a way to tap into the masses of people on Broadway and Cambie, they’re going to do just fine, though. Oh and by the way, if you have trouble finding it, just look for the f*cking enormous bright red building. There’s two of them, they’re basic, but definitely a bit rough around the edges. To be honest, fancy loo’s wouldn’t really have worked here, as I’m assuming they’ll get pretty grubby from people using them after playing mechanic. I’ve probably stopped into Jammer Cafe eight, maybe nine times since they opened and it took them precisely two visits for them to remember who I was and welcome me back with a huge smile and hello. Their staff are awesome. They know their drinks, they definitely know their food (if you get the chance to chat to chef David Martin you should, he’s both a thoroughly lovely bloke and funny as hell) and they know their booze! 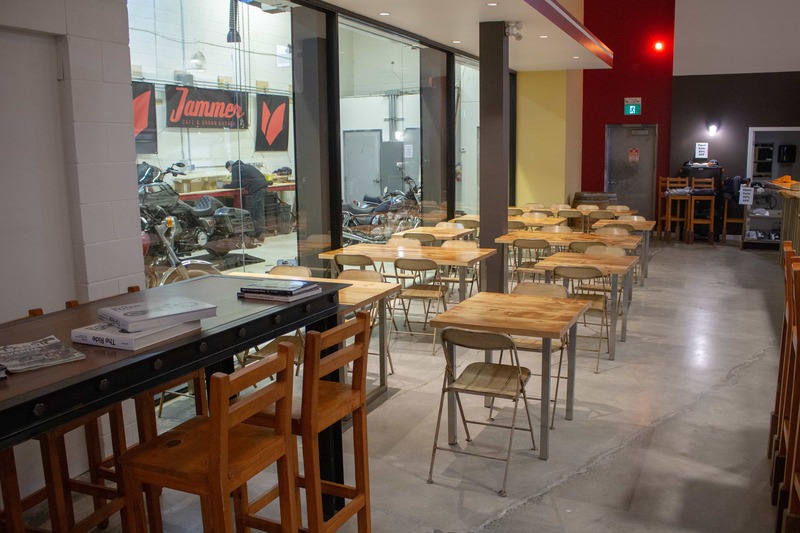 In the few weeks it’s been open, Jammer Cafe has really come out swinging, with a great selection of grub, coffee, and food. But what really sets this place apart is that you can literally drive a motorcycle into it and no one will shout at you. Try doing this at 33 Acres and see what happens. Note: if you plan on actually doing this please let me know, I think it’d make a great Instagram story.